Your trip report is so reminding me of my travels abroad with my husband before we had our son. Heck, some of it even sounds like traveling with our son. However, we really do try to be much more responsible and organized with him. It’s the mishaps and grumpy times that make the best trip stories though. Loving the details of your trip report! I'm staying at the Toy Story hotel so am appreciating the details - it reminds me of Art of Animation at WDW quite a bit. 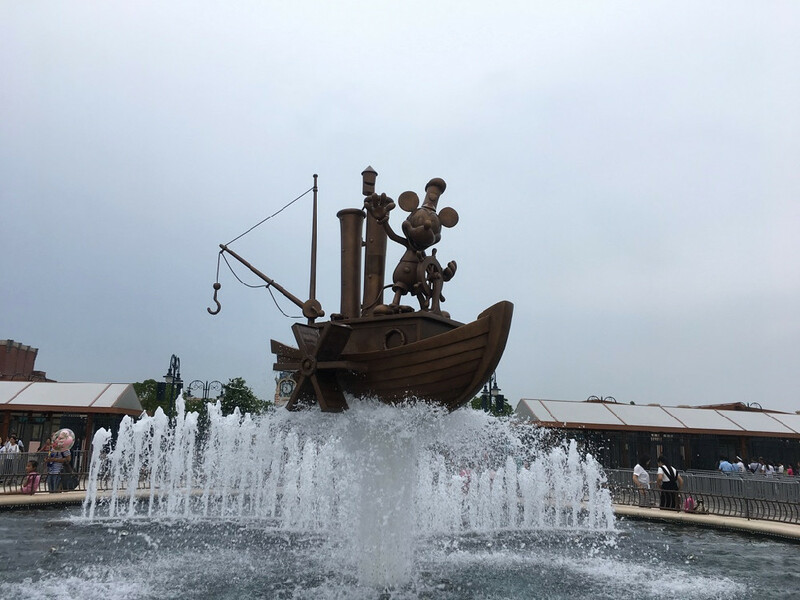 The Shanghai Disney resort looks massive too. Also enjoying the asides about public transport, to my partner's chagrin I am a train nerd so the chance to use a monorail, vehicular railways, tram or basically anything that isn't a grotty London tube is always an added bonus for me. 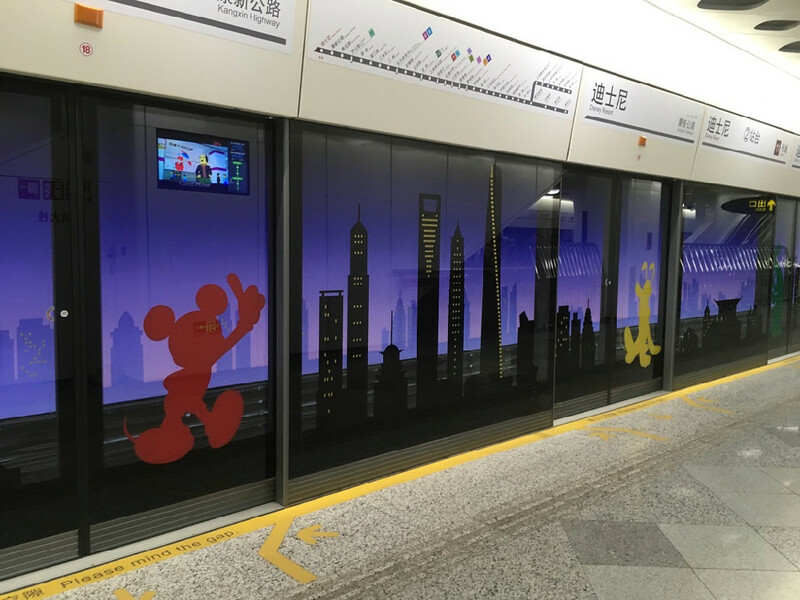 The Shanghai metro looks cute, though not quite on par with the Tokyo monorail with the Mickey-shaped handles. Actually, you're right. I got a little bored on the ship after a while. I felt like I'd explored everything and was ready to see something different. Here I am, taking your side, defending you, and you stick the knife in my back like that? What is this world coming to? I had no idea. Now I have several more characters to ignore! Interesting. Thanks for sharing that, and I can see why you'd feel such strong nostalgia for the old version. And yes, the original Yeti was so much better. Uh huh. And look where that got me! That is a good idea. Never seen that before. I'm surprised the windows actually open! If only I knew what was being advertised! Yes! That would be neat to see. A Maglev train can travel at 300 mph. So, it’s great for moving people around very quickly. However, due to the high speed, it needs to be on a rather straight track. Putting something like this in a densely populated country like Germany where the government cannot just appropriate any land. That makes sense. We run into that problem quite a bit with highways as well. Everyone wants better transportation systems, but no one wants it on their property. And Germany might as well be Delaware with its dirt paths and horses and buggies! Patience. First we're working on air conditioning. The first (and, at the time, only) Taco Bell in the entire nation of China. If Taco Bell did to their digestive systems what it does to ours, it would be the last Taco Bell in China. I have rigid lenses and those need different type of cleaning and storage solutions than the typical soft lenses. It appears that no one in those stores had ever heard of the fact that there are different types of contact lenses. It was really kind of frustrating! I'm sorry. That sounds like a real pain. I've never heard of that, but it looks like a neat little attraction. However, it fell rather flat for me. Not only was it crowded and touring cities in darkness often takes a bit away from the architectural highlights. But the thing that bothered me was that it felt like this could be a river promenade in London, Paris, Budapest etc. It felt alien to me in China in a bad way. Interesting. I think the skyline looks really neat and exotic. But then again, I've never been to London, Paris, Budapest, etc. The walk actually turned out to be rather frustrating as the crowds wanted to move in the same direction as us, the sidewalks were very narrow and then Michael ran into a water hydrant. That's understandable. Those fire hydrants are very quick. They can jump out and get you at any time if you're not vigilant. We also were getting crotchety due to hunger and a waaaay too early flight the next morning to Tokyo, which you'll all be reading about soon if you haven't nodded off to sleep by now. And who would blame you if you did? I will leave that for the little people ... or people who think Waffle House is the epitome of fine dining. I'm still looking forward to my romantic Valentine's Day dinner there. I think crackers and chips and ... did we get fish jerky for my brother here? Anyway, here's a lesson for anyone traveling abroad: go to quickee marts, buy lots of stuff, try it, sometimes it may wind up being a meal for you. But you get to try everything from Blueberry Potato Chips to Pocari Sweat to stuff you think is gum, but you're not really sure. Fish jerky, blueberry potato chips, mystery substances....yeah, you're really selling this idea well. In hindsight he was absolutely right, I was hot and hangry and I tend to not make the smartest decisions under these circumstances. Who does? But don't ever tell Michael he's right about something! The email informed us that our flight departure time had been changed from 8:30 am to 10:00 am. I have never in my life been so happy about a flight delay as that evening! Yes, it sounds like the start of our trip had some not so good things happening. But you know what: We were just so thrilled to be there that nothing really bothered us. And the trip got better as it went on! We were really happy with the hotel. At first I was hesitant as it was so pricey during summer season for what it was, but it ended up being worth every penny. I found it to be a notch above the WDW (and DLP since you seem to have been there plenty) value resorts. It might have been the newness, but it did feel more like a moderate. But then I never stayed at AoA and the internal hallways make a big difference! I have my share of experience with grotty London tube! However, I do own a pillow made out of the original Picadilly Line seat cushion material (new, not sat upon by commuters). So I guess I might have a more romantic notion about it than you. As far as I understand the Tokyo monorail actually is being operated by TDR. The Shanghai metro is operated by the general metro system. And I can tell you that it is a million steps up from the Paris RER trains! And since you are a train nerd, you will appreciated that I am really excited that when Michael and I go to DLP this spring, the first part of the journey will be on a brand new German two story Intercity train. They are being put in service at the beginning of March and should be a fantastic upgrade on the line between Nuremberg and Stuttgart. I am sorry!! It was such a low-hanging fruit! Isn't that great! 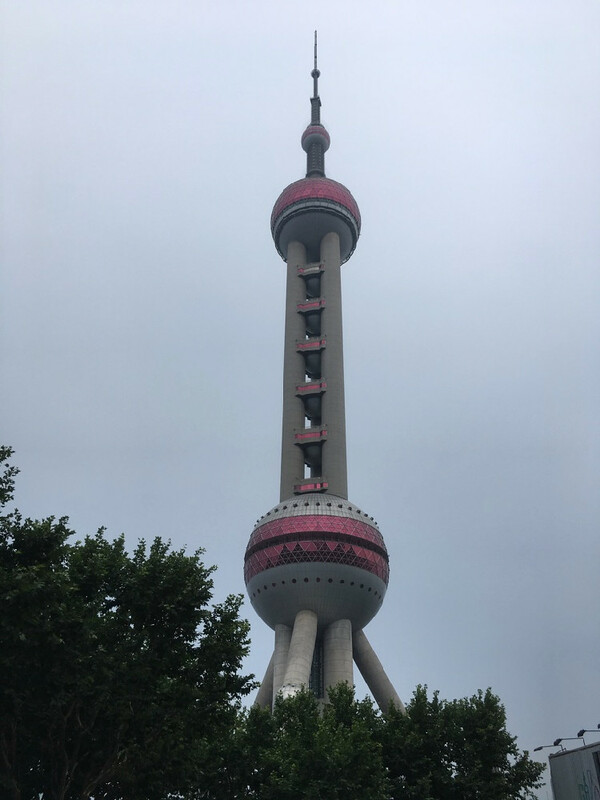 Oh, and there is also a new one coming soon for Shanghai. I am very lucky that I got the original Yeti. My trip in 2007 was when they switched the yeti back on for a short time because they thought they had figured out a solution and I think there were some important people visiting. I remember reading about it on the boards at the time. It was magnificent! I had the Google Translator app and with that you can hold your camera to a text and it will then translate the text. Very helpful with the Chinese and Japanese characters. It was fun to see what the texts could be, but because of characters being able to have different meanings, the translation often jumped around giving you different options of different non-sensical meanings. It's tedious. But that's the problem if you live in a country that respects the individual's rights. A king never had such issues... I always have to think of that when I marvel at those massive palaces like Versailles: they were only possible because of an absolute monarch having no regards for their subjects. Haha! We do that in Germany, too! Well, according to my husband the Chinese food can do bad things to our digestive system, too. So maybe they are better equipped? It has a viewing platform and I think the view must be spectacular! It's definitely a secondary attraction, but I do like interesting methods of transport and this definitely fit that description! Reminds me of my mother's sarcastic comments about "Attack Trees" when they were cutting down all the trees along the country roads where we were living in the 1980s because the trees were so dangerous for drivers. Think of the food section at the store in Japan at Epcot, but even more fun stuff! Unfortunately we did not even get to try as many fun things as we wanted to! And we will come back to Pocari Sweat in a future update! I don't even know when that will be. We are still saving up airline miles, but I did just hop over to American's website and check out flights from LAX to CDG and it's 87.5K per person per flight (well to CDG it's 107.5 for the way back) which works out to be 780K miles. We are nearly halfway there! I think it might be a while before we are able to go. There is always a project with you! I was highly amused about what you were up to when we talked on the phone. And just a couple days ago I was again installing door locks, but luckily we got smart and hired the contractor to finish up. Best $100 we spent because it turned out to be a real hassle and he had to drill new holes in the iron bars to get one of the locksets to latch. Which reminds me, what happened to Fran's request? I think she forgot about it. No, most Americans train their children not to talk to strangers. There are so many weirdos here, you can't be too careful who you talk to, so they just tell the kids not to talk to anyone. I found a lovely Chinese restaurant in Cerritos where they hand make their dumplings. I was so sad when my go to Chinese place started using frozen dumplings from Trader Joe's instead of the nice big ones that were obviously hand made. When I asked why they stopped making them, the person said, "take too much time." Well then "not get my money!" I'll drive 20 minutes to get the fresh dumplings. Besides, they are near my vet so when we spend all morning there and I come out starving, now I know where I'll ask Fran to take me! That's a cool idea. And I'm not worldly enough to have run into that either. Why would I ask such a thing if you didn't point it out? If only I knew what it said! It felt like we spent far too much time of that day looking for something that seems to be non-existent in China. So contact lens solution became my personal unicorn. Sounds like you would have had better luck looking for a unicorn! He might not leave any essentials behind, but if he is packing it is three hours of drama about how all his things can never all fit in that tiny suitcase. This is also why I pack Fran's suitcases. Far less drama. You're the first one to tell me of this neat little ride. 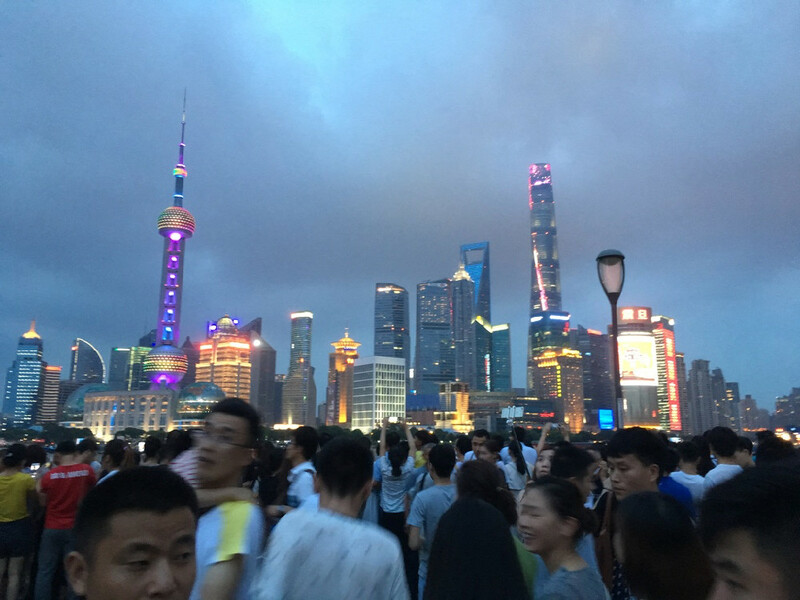 Oh, and while it had started to get dark now, it was still as oppressively hot as it had been ever since we arrived in Shanghai. Sounds like Texas in July. I certainly would rather see Hong Kong under British rule and Macau under Portugal's control. ... Heck, I want our piece of Berlin back and I have already said M's dad would be my Kaiser of the City. ... Oh, and we also need to take that Canal back from Panama too! You forgot "get off my lawn!" Lots of stands with very tasty looking items. But we would have been standing too eat and I just am way too civilized to do that. I get that! I want to sit down when I eat, and not have a seatbelt on either! Smack! You are really giving it to Mark in this update! did we get fish jerky for my brother here? So are these things already plated at the buffet and you just take a little plateful, kind of like Dim Sum on the carts? The food was mainly Chinese dishes. Some of the things were prepared freshly by the chefs that were working behind the buffet lines. Some of those things look really tasty! Like those dumplings. You can have the eggplant. It makes my skin itch from the inside out. I wouldn't think they would be. The Chinese are not known for their lovely pastries. As I watched her chow down like she was a local, I suddenly was reminded of westerners I had worked with over in China who indulged too much, too quickly and regretted it bigtime. So when you eat Chinese food in China you are not hungry and hour later? Ultimately the meal was wonderful, very much worth what we paid for. We got to relax and cool down and did end the day on a high note after parts of it being a bit frustrating. That's why I almost always insist on sitting down to a meal and not just grabbing something on the go. I need to sit down and recharge. We headed down to the front desk (we felt talking to the front desk in person would ensure that any language issues could be dealt with there as they could just call over a colleague if they did not understand something) and changed our taxi order to 7:30 am instead of 6:00 am. That's still early, but a lot better than the previous scenario. We went to bed excited about being able to get some decent rest before it would be time to depart for the next installment of our trip: Japan! Less than seven hours of sleep and you call that decent rest? We have very different ideas! I spent a little more time going back through and getting all caught up. Well, it seems like the signs were not as successful as hoped if you remember our previous experiences. And yes, neither she nor I have ever been on a Disney canoe. I was a bit surprised by this, being that they have removed the ride from Florida and Paris. Only Anaheim and Tokyo still have them. ... Of course, look at the typical FL guest and try to picture them doing anything physical beyond lifting a turkey leg or burger to their mouths! 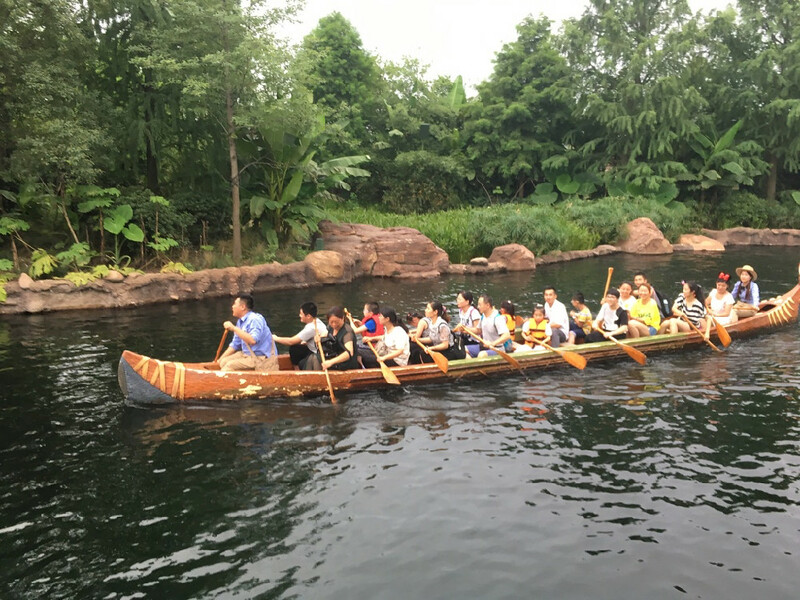 I remember doing the canoes at MK my very first trip (yes back in the E-ticket days). I thought it was fun but don't remember them being this long? This is new to me too! Guess I stay in too many low class establishments. I think some U.S. stations would be wise to add this feature. Really enjoyed all the architecture pictures. Some very intriguing designs. Definitely happy you both gave us an extensive review. Doubt I will ever make this Disney Park in person. Phew!! After all that a pleasant enough ending to the day. At least you can say you did a pretty good job at exploring. Hot and hangry is NO way to be! All caught up here too! I have been reading along, but time just seems to get away from me and there is never enough left to comment. Thanks for sharing all those photos and all of your experiences. Somehow the Asian parks don't really draw us in, guess the language barrier is to blame. We just returned from DLRP and THAT language barrier was enough for us.